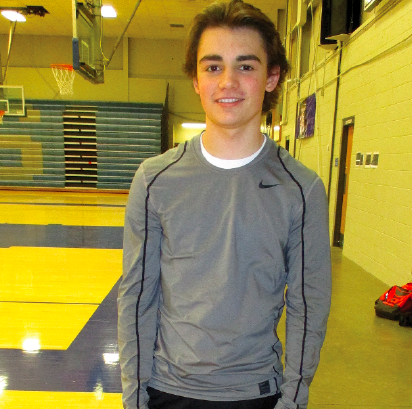 Several people this year are choosing to celebrate the holiday with the person that they love, like sophomore Jakan Duncan. “I’m going to spend Valentine’s day with my girlfriend,” Duncan said. Many people, including Duncan, are choosing to go the traditional route and are taking their significant other out to dinner. “My girlfriend and I are probably just going to go and have dinner somewhere and then just hang out,” Duncan said. Duncan doesn’t think that you need to go all out when it comes to presents. The important thing lies in your heart. “You don’t really have to give a gift, you just have to let the other person know you care because that’s the best gift, at least to me,” Duncan said. Valentine’s gifts are already stocked up on the shelves in their specific ‘Valentine’s Day’ aisles of several popular department stores. Brisbin like others, prefers to think outside of the box for his gift of choice. “This one time, my old girlfriend wanted a panda, but that wasn’t going to work because you can’t actually buy a real panda. So I went to target and there was this big panda stuffed animal. I thought what I did was cute, but it was probably really weird, so what I did was that I cut open the panda and put more little tiny stuffed pandas in it. I know it’s really weird, but when she opened it she thought it was really cute. I was like ‘Hey, check inside the panda,’ and then there were more pandas and other stuff,” Brisbin said. Several people, including Brisbin are focusing more on the giving this year rather than the receiving. 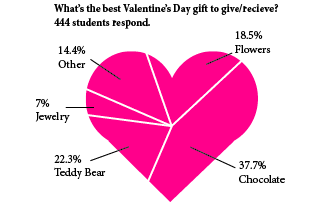 “I’m more of a giver than a receiver and I think the best Valentine’s Day gift would be a necklace or some type of jewelry, but it’s more of the way you give it,” Brisbin said. Sophomore Hailey Smith says that there is one special person that is most important to show love on Valentine’s Day, yourself. There is one sweet surprise that Smith recalls in which someone other than herself spoiled her with a special Valentine’s Day gift. Although the most important person to love is yourself, which Smith proves can be rewarding in its own way, the holiday can also be made special through the moments cherished with family, friends, and loved ones. 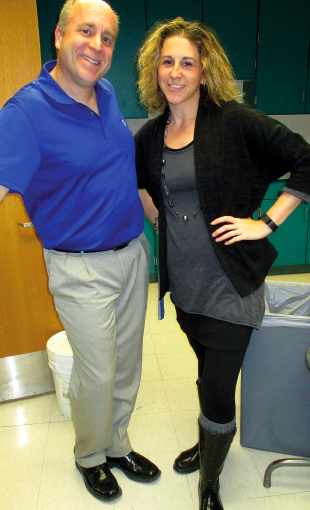 If you’re a student at LHS, it is likely that you are familiar with the science-teaching power couple, Biology II and AP Biology teacher Rick Knowles and Biology II and Zoology teacher Maria Knowles. Throughout their marriage, the couple has spent many Valentine’s Days together, sharing both funny and sweet memories. Mrs. Knowles remembers one exciting and unique Valentine’s Day date that has remained her favorite. For the Knowles, there is one Valentine’s Day memory that continues to makes them laugh every year. Since Mrs. Knowles works with high school students, she has wise words of advice for students trying to find the best way to celebrate Valentine’s Day. “Sometimes I feel like it is a very over-rated holiday and it makes people feel really bad if they don’t have someone,” she said. “It’s nice to do kind things for people. It doesn’t have to be the person you’re in love with, it can just be people you like or people you’re friends with. It’s the daily things you do for people that show your love for them. Almost every person remembers their elementary school crush. Gazing at them from across the small animal poster-covered classroom and playing with them at recess was the everyday routine, but Valentine’s Day was the biggest day of the year for elementary school crushes. Valentine’s boxes decorated in stickers and glitter sat on every desktop waiting for personalized notes to be dropped in their slots. A couple of LHS students remember taking advantage of the holiday to show their feelings for their elementary school crush. 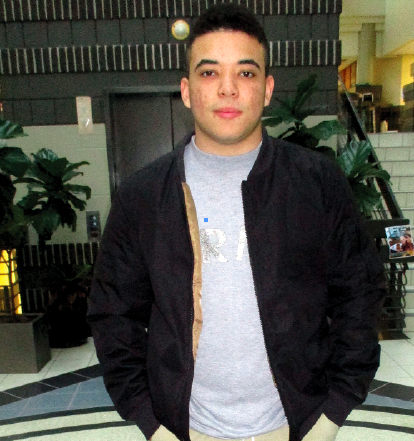 Junior Kaiden Hulett remembers one Valentine’s Day rejection that has stuck with him over the years. 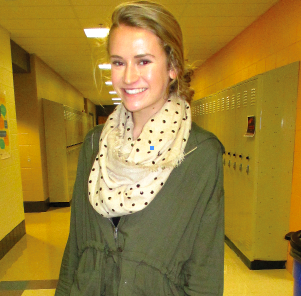 Freshman Jeniyah Smith remembers being on the receiving end of one of these elementary school Valentine’s Day gestures. As for the boy in Smith’s fourth grade class who gave her the key to his heart, his plan had a few flaws that allowed Smith to guess who made this bold Valentine’s Day gesture.